I am in disbelief that Christmas is two weeks from yesterday. This is my absolute favorite time of the year, and it is going to be gone before we know it! I’ve barely done any shopping .and I just finished getting the house decorated. In my mind, we should still have about a month to enjoy the season. Today I thought I’d share a recipe with you that you can make ahead, place in the fridge, and cook when you’re ready. 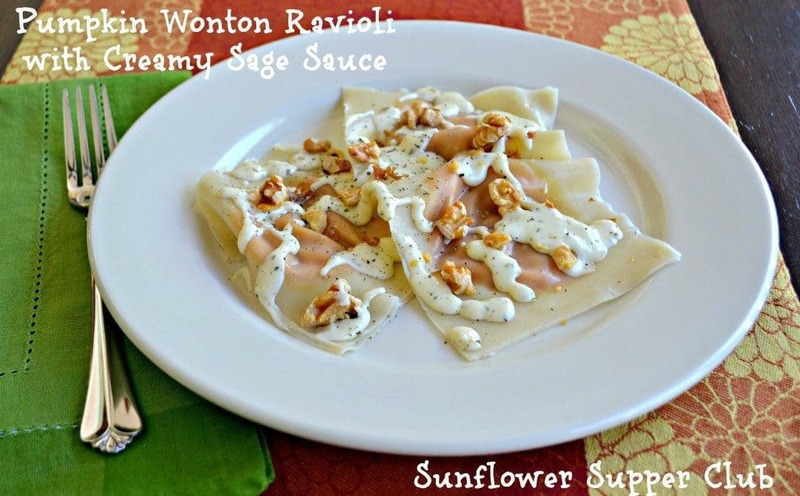 I’ve served these wontons as a main course, but they also would work as a first course. I love them because they combine two of my favorite flavors, pumpkin, and sage. 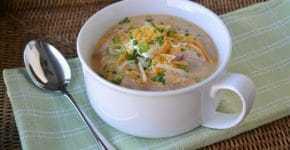 In a small bowl, mix together the pumpkin, cream, Parmesan Cheese, kosher salt, black pepper, garlic powder, and nutmeg. Put 1 tablespoon of the pumpkin mixture in the center of a wonton wrapper. Moisten the edges with the beaten egg and cover with another wonton wrapper. Press edges to seal, pressing around the filling making sure to remove any air bubbles. Repeat with the rest of the filling and wonton wrappers. Work quickly so the wrappers don’t dry out. If making ahead, you can place on a cookie sheet lined with parchment and cover. Place in the fridge until ready to cook. In a large pot, bring salted water to a boil, reduce to a simmer. They will float to the top when they are done. I leave them in a little longer to make sure the filling is warm. Remove with a slotted spoon and keep warm. In a small saucepan melt the butter over medium heat. Add the flour and whisk constantly for about 1-2 minutes until bubbly. Slowly pour in the heavy whipping cream and bring to a boil. Reduce the heat and simmer for 3-4 minutes until thickened. Remove from the heat and stir in the sage, parmesan cheese, kosher salt, and pepper. Place ravioli on a plate and spoon some the sauce over the top. Garnish with toasted nuts and additional Parmesan cheese and Sage. You can also saute them in a skillet with a little oil if you would like them crispier.